This car is soooo hot. If it were a person, I would have a crush on it. 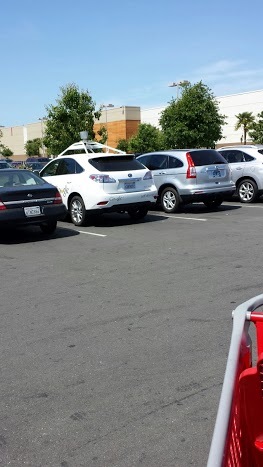 I really like the way the car looks and I LOVE how I see them all over the place here in Orange County, California. Seriously. I mostly drive in my little town, going to the grocery store, montessori and maybe Target and Costco and yet I see at least three of these everyday (be still my beating heart!) These come in a couple versions that give a range of 208 miles and 265 miles per charge. We could easily go to San Diego and back! No range anxiety here! And the company is doing extremely well. They’re posting better than expected profits, are paying back their debts faster than expected and are all around awesome. They have a great plan to put charging stations in strategic locations that will help facilitate longer range trips in their cars. That you can use FOR FREE. So cool. And like all electric vehicles, we’re saving the earth’s limited resources (well states like California that primarily use wind power to generate electricity are. Areas that use coal are still using a limited resource) The car is pricy though…the most basic model starts at $63k. 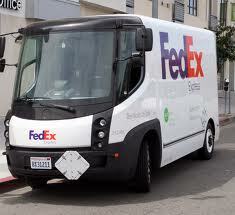 How great would it be if FedEx was able to phase out its existing fleet and replace it with these? And then UPS followed suit? And USPS? And DHL? And OnTrac? gDiapers (yes, they work their way into ALL my posts, it seems) uses a carbon footprint neutral shipping method offered by FedEx. I wonder if it includes using these guys? Although this doesn’t have to do with electric vehicles like the others in this post, I found this awesome. 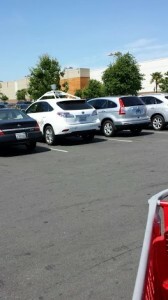 I was at Target in the Bay Area and saw a Lexus SUV with a crazy contraption on top. Anyway, the car had a sign that said it was a self driving vehicle, apparently one of the many over-the-top amazing things that Google is playing around with and developing. While the technology itself is quite amazing, when you stop and think about the possibilities with the application, it’s mind blowing. The cars are likely to be more efficient and safer, which means they could completely change the way we use cars today. Maybe communities could share them to take kids to school. Or employers could offer vanpool type services. Or they could replace the way cities offer public transportation. Or maybe they make owning your own vehicle obsolete. Exciting stuff! And now here are some of my favorite songs by The Cars. Because it’s my blog and I can post what I want regardless of whether or not it’s truly relevant. I love you, 80’s music. It’s been an exciting few days in our area because I’ve seen SO many alternative fuel vehicles; in just a 1.5 mile stretch, I spotted three LEAFs. Interestingly, each was a different color. Then yesterday a LEAF neighbor flashed his lights at us and we waved. Silly but it’s kind of a little thrill. On top of that, on another short trip, I saw two different hydrogen powered vehicles. The first was an F Cell from Mercedes Benz. How’s that for fancy? I didn’t even know these puppies existed. So I did a little reading to learn more. These vehicles are in limited available in select markets in the US (CA is one of the few areas) and are for lease only. 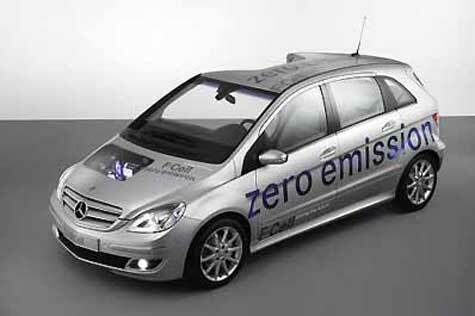 The car has an estimated range of up to 240 miles and emits only water vapors as its emissions. These have been sold in the Europe based on both the A Class and the B Class but this US run is only based on the B Class. They’re positioning the car as “mobility free of range anxiety.” I love that these cars are on the road and the fact that the range is 250 miles is great. 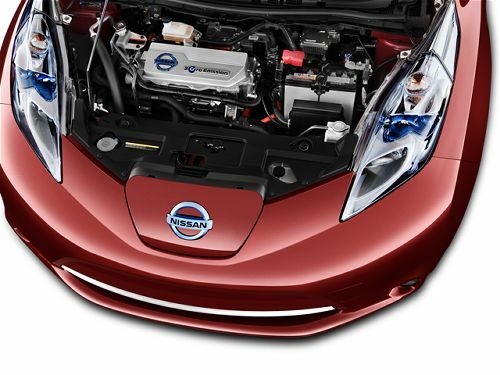 I still prefer our LEAF due to the convenience of fueling up at home, though. Seeing it did get me wondering if there were hydrogen fuel stations nearby and if so, how many. I remember when I was in college (this was in the mid 90’s), we used a campus vehicle that used an alternative fuel (I think it was Hydrogen but I’m not 100% sure; I know it wasn’t diesel!) and I remember the driver had to make sure he filled up at the ONE station that was available along our 40 mile trip. Hopefully it’s more convenient than that. I think it’s also great that there’s a luxury branded alternative fuel vehicle. I think there are people out there who might like driving something like a LEAF but are accustomed to luxury brands and think of it as a step down to drive a Nissan. This solves that problem. A few minutes after seeing the F Cell for the first time, I saw a Toyota FCHV. This vehicle is based on the Highlander body and shares some of the technologies with the Prius. Like the Prius, the FCHV (which stands for Fuel Cell Hybrid Vehicle) is able to drive on battery only for about 50 miles but it’s kind of a moot point because it has to be at very low speeds. Might come in handy if you’re stuck on a freeway trying out get out of an evacuation zone? I just don’t know why they tout this – it’s really not all that useful. The technology is very similar to the Prius but instead of using gasoline in the Hybrid Synergy Drive, it’s using four hydrogen tanks.Anyway, the car has fantastic range – the four fuel cells can power the vehicle for upwards of 400 miles, making it a contender with traditionally fueled cars. Awesome. There are several versions of the FCHV and I believe it’s on version 5. Toyota is apparently looking into using the technology for buses and trucks too. With Toyota’s reputation of reliability, I hope this one does well! It’s really really great to see these options in the market and on the road. We see a lot of LEAFs driving around these days and the more hydrogen vehicles there are out there, the more fuel stations there will be! Hooray for clean burning vehicles! 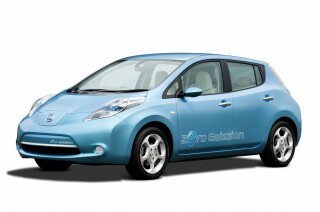 Nissan LEAF – Still cool. Just saw this article in USA Today about a new Nissan LEAF commercial that will be coming out to celebrate the LEAF’s first year in America. Pretty exciting. Commercial is cute and I loved that the article stated that Nissan thinks it can sell upwards of 10,000 LEAFs this year (and we had the first non-ceremonial one in the US!). I also was glad to see that they’re saying the car can go about 80 miles on a single charge; it seems much more realistic than the 100 miles they had been claiming earlier. This got me thinking about how we’ve had our LEAF for almost a year and we’re still REALLY glad we have it. I still feel cool driving it and although we don’t seem to get as much attention, it’s still a thrill to see others on the road. My husband waves at other LEAF drivers and so do I when I’m driving ours. I want to wave to them when I’m driving the Lexus but I just don’t belong to their cool club so I don’t. So far only one or two have noticed us and waved back. I love that about my husband, by the way. In this first year, we have never, not even once, been stranded because our car didn’t have enough juice. We haven’t had to get any oil changes. We haven’t had to feel raped at the gas station. We haven’t had to worry about dripping any “stuff” on someone’s driveway. We haven’t had to worry about leaving the car running in our squashed tandem garage. It’s pretty cool. According to the EPA (http://www.epa.gov/otaq/consumer/f00013.htm), the average vehicle consumes and emits a lot o’crapola. It feels good to know we saved some, both in our pocketbooks and for the earth. The calculations for Total Annual Pollution Emitted and Fuel Consumed are based on an average annual passenger car mileage of 12,500 miles and an average annual light truck mileage of 14,000 miles. Fuel consumption is based on fleetwide average in-use fuel economy of 21.5 miles per gallon (mpg) for passenger cars and 17.2 mpg for light trucks, as reported in the 19th edition of the “Transportation Energy Data Book,” prepared for the U.S. Department of Energy. 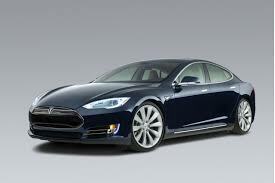 So driving this car instead of a “normal” car has saved over 5 tons of carbon dioxide. According to the EPA site, “Carbon dioxide, while not regulated as an emission, is the transportation sector’s primary contribution to climate change. Carbon dioxide emissions are directly proportional to fuel economy–each 1% increase (decrease) in fuel consumption results in a corresponding 1% increase (decrease) in carbon dioxide emissions.” A much easier to understand factoid, at an average of $3.50 per gallon, a LEAF driver saves over $2000 in gasoline. You kick booty, LEAF. Happy Birthday! On Sunday, October 16, Plug In America, Electric Auto Association and Sierra Club are celebrating National Plug In Day around the country. Here in Orange County, Plug In America is hosting a Tailgate without Tailpipes Meet-up and Drive-away from 1-3 pm at the Orange Public Library parking. Check out details at http://www.pluginamerica.org/pluginday/orange-county. This one mentions a few folks my husband interacts with. A few of the folks we’ve met through the Nissan LEAF enthusiast get-togethers are really really nice people. And finally, here’s the awesome view that we saw when we pulled into the LAX electric vehicle charge area. 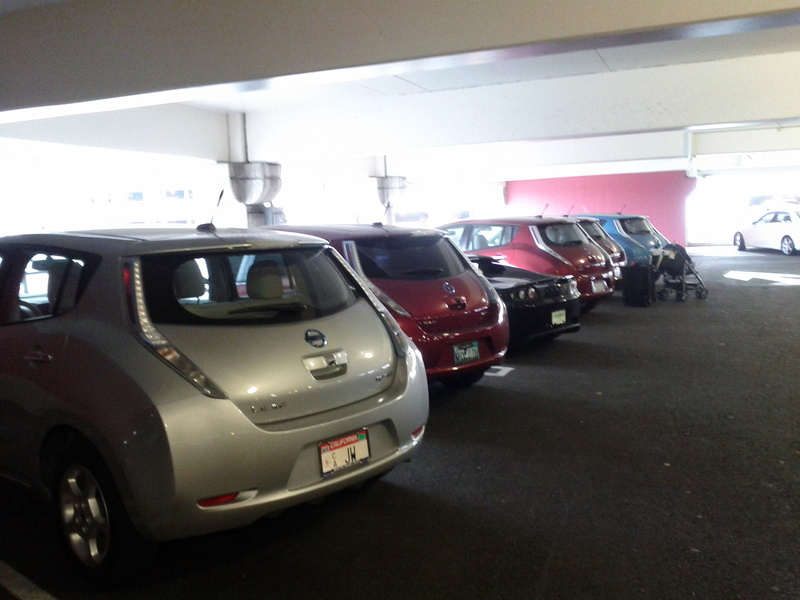 How exciting to see so many electric vehicles. And this was the side that didn’t have the chargers. Made us so happy. Ours would be the one with the stroller behind it and we’re parked next to a Tesla. I’ve only seen two of those out and about. And it’s been nice seeing LEAFs on the road; I see at least two a week (besides ours of course), which is awesome. In 2011, our electricity expenses, on average, have been $103.98. Significantly higher. Things to factor in here are variable costs of electricity AND in 2011, we had two people home all day long, which I’m assuming adds to the cost of electricity, since I use the microwave, computer, lights, washing machine, etc. so much more. Awesome. If you compare the average total fuel expenses in 2011 vs the prior three years, it turns out we’re saving about $2064 per year. Not bad! This doesn’t even factor in the cost savings we get in maintenance costs for the Leaf. No oil changes, no belt replacements, no tune-ups. Just tire maintenance. Hooray! Things to consider on this one is we do have one extra person in 2011 and while her food isn’t terribly expensive, we do buy formula for her and we do make her food, which is additional costs. I might go back and double check this, though. It really just doesn’t make sense to me because we’re really not eating out THAT much, or it least it feels that way. So no real savings there, unless you just want to compare 2010 to 2011, then we’re lookin’ good. Seriously, what happened in 2010? Oh right, I was pregnant. Did I really eat an extra $200 in food? If so, where did all that food go? I only put on 22 pounds of baby weight! 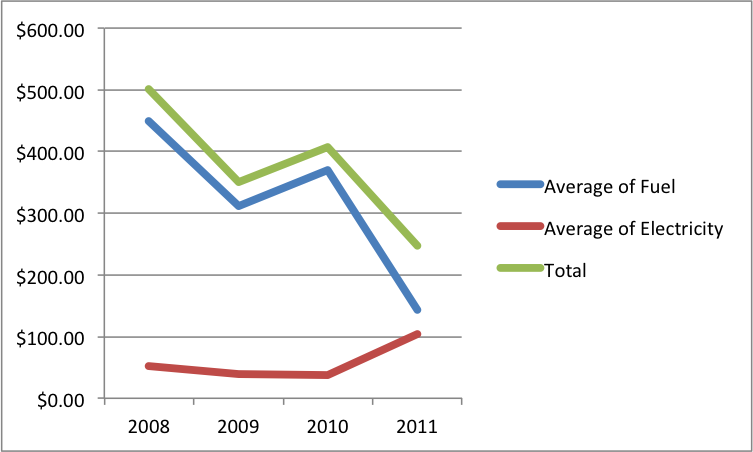 If we compare 2008-2010 average expenses vs. 2011, we have saved about $771 so far this year. Yowza! Looks like we’ve saved about $1560 so far this year! Winner winner chicken dinner! Not a ton, but still some! Uh…let’s not talk about this one quite yet. My addiction has not saved us money yet. 🙂 Baby’s up! Gotta go (how convenient)! My husband is cool in a lot of ways. One of the things that makes him so interesting is the number of things he takes interest in and how quickly he learns more. In Geoffrey Moore speak, he is definitely an innovator. This is the kind of person who seeks out and sees the value in novel ideas, products, etc. and is willing to try new things. It’s this line of thinking that got him interested in electric vehicles. Over a year ago he said “I think we should get one,” I didn’t take him seriously. He talks about a lot of things (refer above to “the number of things he takes interest in”) and I just thought – sure, one day. Then he said, “I put us on a wait list,” Since I’m non-commital, I thought “eh, whatevers.” Then we received notice of the delivery date. Oh wait. We’re really getting one? Then notice that it had arrived and was ready for us to pick up. And that we were going to be the first non-ceremonial recipients of this new model in the entire US. Whaaaaat? He had been working hard to get this car and I really wasn’t paying much attention (honestly, I was much more excited about the bun I was happily toasting in my oven). 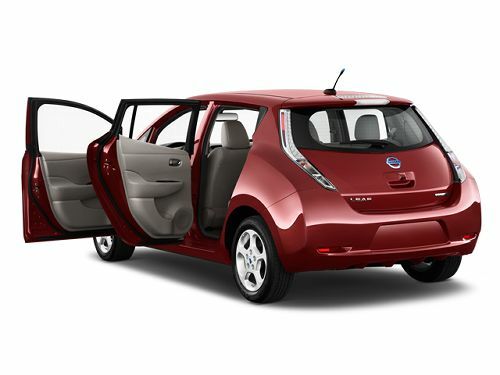 So on January 1, 2011, we went to the dealership to pick up our brand new Nissan Leaf. It’s a cool car. A really cool car. It makes virtually no noise, it’s much more roomy than I thought it would be, and it actually has serious giddy up, which would have otherwise been a deal breaker for us. What I love MOST about it is the fact that it produces zero emissions – clean air ftw. It’s nice to not have to buy gasoline, too. The car is just clean. It has changed our way of thinking. One night we were driving our other car (more on that one later), the carseat in the back seemed to be slipping so we pulled over to fix it. I was waiting with our newborn behind the car with it idling while my husband fixed the carseat. I moved because of the exhaust. Eww. This is something we never would have thought twice about before the Leaf. So it doesn’t take any gas, AT ALL? Nope, it runs on electricity only. It depends on the terrain, the speeds we’re traveling and the driving style. Typically we can get about 75 miles on one charge. The manufacturer says about 100. Right now we just plug it into the outlet in the garage. The same basic outlet that you’d plug your hair dryer into. How much does it cost to fill up? How long does it take to charge up? Depends on what kind of charger you use. We use the slowest charge (Level 1) and if the car was completely on empty, it would take about 22 hours. There are a lot of perks to driving this car. You never have to go to a gas station, which also means no weirdo coming and talking you while you pump. Living in California, we were eligible for both state and federal incentives and we were able to get a carpool lane sticker that allows us to drive in the carpool lane with only one driver. You feel like you’re doing something good (or at least better) for the earth. Less dependency on foreign oil. There are charge stations popping up all over the place and right now we’re able to charge up for free at many. This often means better parking too. Hooray. And best of all, sometimes we get free parking – like at LAX! What would have cost us $65 for a weekend of parking is free! Hell to the yes. This car is my husband’s daily driver so he’s much more used to it than I am and is able to better gauge how much juice we’ll need, how much we have left, etc. That is definitely something you have to consider with this car – you can’t just jump in and drive. We have taken it on longer distances, but it takes planning. We once drove it to Pasadena, which is about 55 miles each way and let it charge up while we explored the Huntington Gardens and we were fine. Because there aren’t a ton of super fast charging stations, we do feel the need to keep one regular old gas guzzler. So we do. Let’s compare. So his is actually maroon but I’m too lazy and untalented to go take pictures of our actual cars so I pulled these off the internet. We love both cars for very different reasons. The black car is slick and fast and luxurious and eats the road like a hungry cheetah chasing its prey. The maroon car is almost futuristic, smooth and clean, like a spaceship from Star Wars, gliding over the road. The black car costs about $65 to fill up. The maroon car is less than $5. The black car does zero to sixty in 5.7 seconds. The maroon car does zero to sixty in 9-10 seconds. The black car needs to get serviced in regular intervals. The maroon car needs to get its tires changed. The black car seats five. So does the maroon. The black car has nav. So does the maroon. The black car has a high safety rating. So does the maroon (this was the only question mark at the time of purchase. Much to our relief, it’s highly rated. We take our baby in there – it matters!!!). We can integrate our iPod in the maroon car. Can’t in the black car. The black car has air conditioned leather seats and a Mark Levinson sound system. The maroon car has cloth seats and a radio. I’m actually able to comfortably breastfeed my baby in the front seat (in a bind) in the maroon car. Not so comfy in the black car. The black car has a bunch of cup holders. The maroon car has fewer. I feel cool driving the black car sometimes. I feel cool driving the maroon car all the time. It’s been encouraging seeing the number of electric vehicles increase on the road. I saw one at the grocery store yesterday. We pulled up to charge our car at Fashion Island and there was a Volt (not fully electric, by the way), charging up too. It turns out my husband’s cousin got one too, completely independently from us. We may be the Leafiest family around. It’s exciting! We love this car and hope that it’s the first of many electric vehicles for our family.